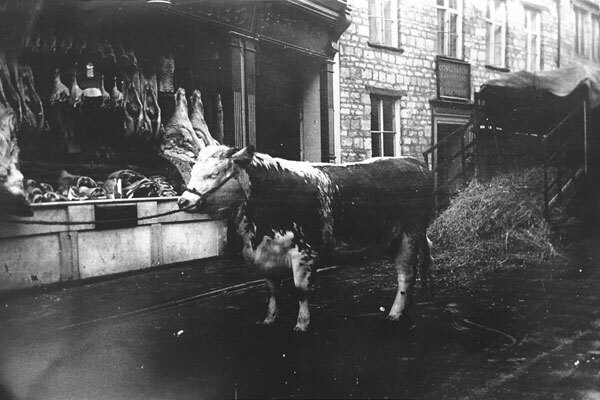 Jesse Smith Butchers is a family owned company, based in the town of Cirencester. Our Head Office and state-of-the-art wholesale preparation facility is here and we have a string of Butcher's Shops situated around the Cotswold's, along with Kitchen & Catering Unit. From humble beginnings with just a handful of devoted customers, we now collaborate with many of the best local chefs and restaurateurs. Our reputation has been built on our uncompromising commitment to provenance, fair trade with farmers and especially sourcing the finest quality produce. Flavour – from an outstanding rib of beef to our favourite hung sirloin on the bone, we’ve scoured the very best to bring you products which are bursting with flavour. Discovery – sample a new cuisine with our tasting evenings and samples at our shops; taste our tender and succulent old spot pork to our exceptionally tender new-season lamb, with a beautifully sweet and subtle flavour. - There’s a world of flavour to explore at Jesse Smith. Provenance – we source with care from producers who share our passion for flavour and quality enabling you to enjoy the best of British produce. Excitement – bring theatre to your table with a Himalayan salt plate; try your hand at sausage making– let your creativity run wild at Jesse Smith! Authority – we’ve tasted the ingredients and cooked with our condiments. We have the best job in the world! So if you need help & advice just give us a ring – we’re always happy to help. Service – we work hard to bring you the best possible service and consistently enjoy exceptionally high customer satisfaction. The skill and knowledge of our trusted partners enables us to have full control of the produce that goes into our counters. Six generations of the Smith family have been Cirencester butchers. Daniel, the third generation, is the ‘D. Smith’ of the left-hand side in this view (c.1880); his sons Daniel (b.1849) and Jesse (b.1851) are the ‘D. & J. Smith’ of the right-hand side of the shop. Another brother was a butcher in Fairford. Jesse wears a bowler and stands second left. He succeeded to the business when his brother emigrated to New Zealand and subsequently remodeled the premises into a single frontage of true Edwardian character; this remains today as a welcome feature amidst the aluminum and plastic. A pillar of the local community, Jesse upheld the nonconformist traditions of many tradesmen and was treasurer of the Congregational Church for over 30 years. As a fine judge of cattle he served at Tetbury Fatstock Show for 25 years and once at Smithfield. David Viner, 1983, Victorian & Edwardian Cotswolds from old photographs, Batsford. Francesca has ordered this book to see the photo relating to the caption taken from the book above! Our Shop on Black Jack Street in Cirencester is now a grade II listed building, but well before this listing we made the decision to hang on to the lovely Edwardian shopfront and interior, one with tiles that beautifully celebrate the pig and what a butcher can do with it. It was around 1910 and the golden age for English tiled shopfronts, when the architectural ceramicists were still being influenced by the swirls and curls of the Art Nouveau style, and before World War I banished jollity. Legends in curvaceous Art Nouveau lettering designed to make the pig fancier’s mouth water: Pickled tongues. The design on the right of this image, with its sinuous lines and mysterious semicircles (Do they evoke stylized flowers or seed heads?) would not look out of place in Vienna. Inside, porcine eyes follow you round the room as you contemplate cuts of pork and home-made pies. There are few better architectural celebrations of the English pig. Daniel Smith, aged 42, born Cricklade, butcher; with wife Ann, and children. Susannah, Harry, Joanna, David, Sampson, and Daniel. The Census also shows that David, Sampson and Daniel were born in Cirencester (all the others were Wiltshire born). Census records Daniel Smith (52) as a widower, , living in Black Jack Street, with daughter Joanna, and sons Sampson (age 16), Daniel (14), and Jesse (10). Census lists a Daniel Smith, butcher in Black Jack Street; and an Edward Smith, butcher, in Dollar Street. Were they brothers? Census lists Daniel Smith, widower aged 62, butcher and farrier, living in Black Jack Street; with his sons Daniel (aged 21), and Jesse (aged 19), both working as butchers, and confirming that both sons were Cirencester born. William Dance (40). butcher, in the Cirencester Cottage Hospital in a critical condition owing to blood poisoning. When working at the premises of Messrs. Jesse Smith, Black Jack-street, Dance had the misfortune to cut a finger of his left hand. Three days later he was taken ill. Houses were renumbered so number 6 St John’s Street would now be number 14 Black Jack Street.